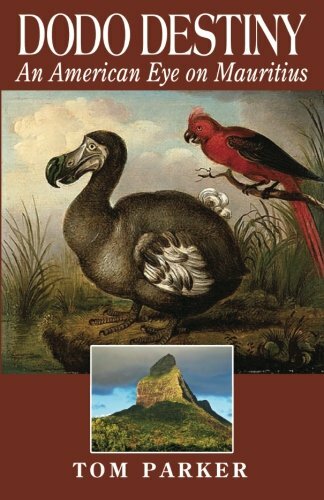 Dodo Destiny examines the sad tale of the dodo and the intriguing history of its native Mauritius, a beautiful island nation home to one of today’s truly multicultural societies. The dodo is a universal symbol of extinction, yet little is known about the true nature of this vanished bird. Most people don’t know that the dodo lived only on Mauritius, a small tropical island nation east of Madagascar in the Indian Ocean. Left undisturbed by humans, Mauritius and the dodo thrived until Europeans arrived in 1598. Less than 100 years later, the dodo and other island species disappeared in the wake of man. The dodo will never come back yet Mauritius and nearby islands are forging a new path in co-existence with not only man and the environment, but among religions and different races. The odd-looking dodo was just one of many unusual extinct species endemic to Mauritius and other islands in the Mascarene archipelago. Paradoxically, the site of history's most famous extinction is today home to some of the world's most successful conservation programs created to preserve surviving threatened species. Tom Parker's fascination with Mauritius and neighboring islands began by chance during a layover on a global trek. He returned multiple times to extensively explore the islands, discovering dramatic tales about the spice trade, marooned rebels, waves of immigrants from Europe and Asia, and remarkable natural history. Long familiar to European visitors, these islands remain relatively unknown to most North Americans. Dodo Destiny provides an insightful introduction to Mauritius and its multicultural society for history-minded travelers.